Go Green Lunch Box sent me this cute and functional lunch box for review on my blog. 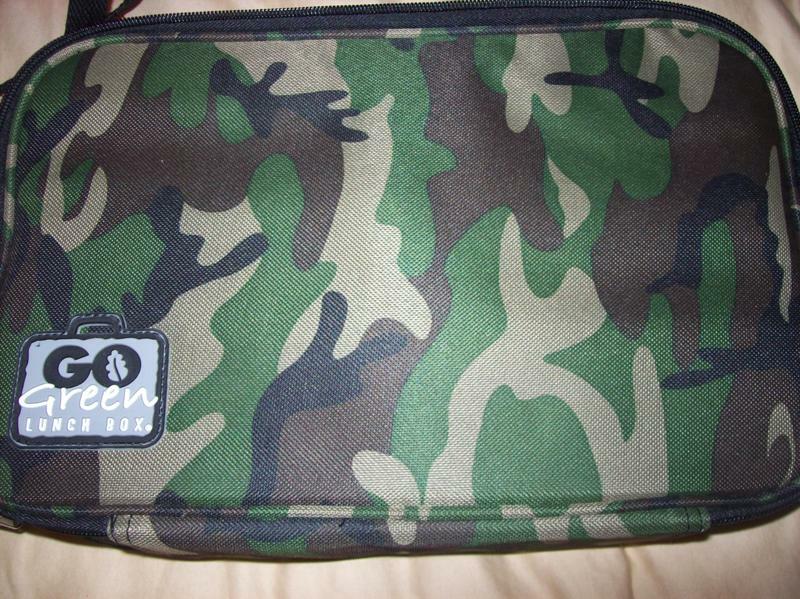 I got the camo one which will be perfect to give to my husband's little cousin who is 5. He will love it I'm sure! -The outside has a protective coating making it easy to wipe off. -The compartments lock so it does not open. -They feature a whiteboard inside to leave loving notes to your child. I love this lunch box. I think that it is very well built and so cool that it even comes with a little water bottle. It is a nice size so you can take as little or as much food as you want for lunch. 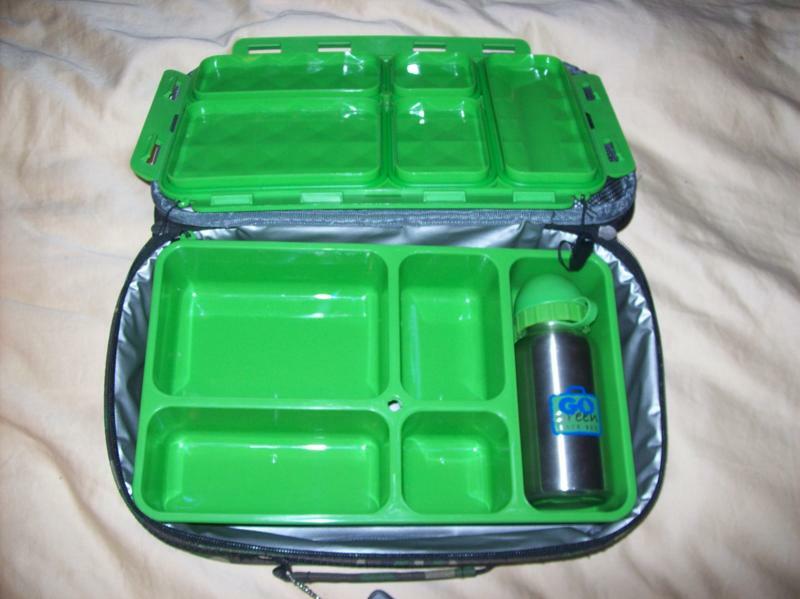 I also love that it has four food compartments because I am someone who likes to take a bunch of different types of food to work. Also, since you do not need to take plastic bags when using this box, it helps you go green and help save the environment which is great! Thanks Go Green Lunch Box!! Awesome blog! Can't wait to start seeing what you've got planned in the future! Following you from Follow Me Back Tuesday. I would love a follow back :) It would be awesome if you could also follow me on Networked Blogs & Facebook too!